The main reason why it is better to rely on providers of in-home health care services when you are recovering from an operation is due to the rest you will receive. You will simply enjoy much better rest in the comfort of home than you would at a hospital. Your home will be more comfortable than any other location but that is not the only reason. Recovering at a hospital can slow down your recovery time because you can never really rest completely. Even if you have a private room, there is constant ambient noise and activity going on. You will still be able to get some sleep but the noise and activity can prevent you from entering a deep sleep, thus preventing you from getting the rest you need. Another reason why it is important to recover in the comfort of home is because it is less stressful. When you are at a hospital, not only is it very uncomfortable being surrounded by sterile surroundings and other sick individuals, but the cost of staying there can also weigh heavily on your mind. Hospital stays are not cheap, especially if you were there for emergency reasons and they do not accept your insurance. 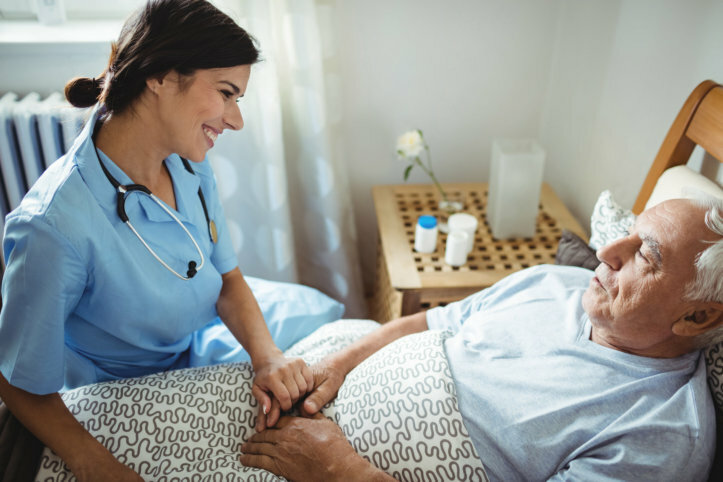 In most cases, it is far more affordable to hire local providers of skilled nursing in Illinois, which is better because you can receive the same level of care at home. Those are just a few of the many reasons why it is far better to recover from a surgery in the comfort of home. If you would like to find out more about this or if you are interested in our exceptional medical social services, please get in touch with our team at Holistic Health Partners, Inc. for more information. This entry was posted in Home Health and tagged in-home health care, local providers, recovery time, sterile surroundings. Bookmark the permalink.